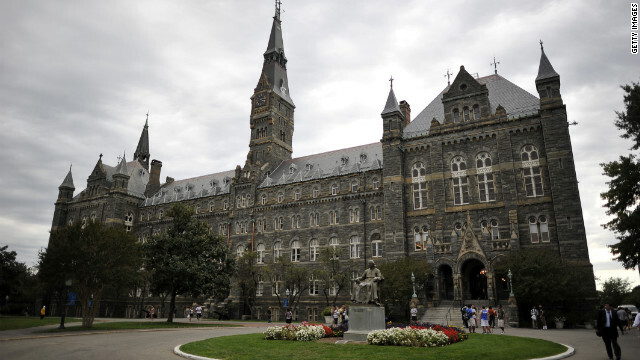 Georgetown University has played host to a string of big political controversies this year. 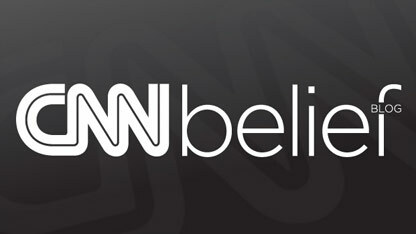 Washington (CNN) - In the latest round of culture wars over contraception and religious liberty, most Americans would probably identify places like the White House and Congress as key battlefields. But another nearby locale has emerged as a national platform for such skirmishes: the stately campus of Georgetown University, the country's oldest Roman Catholic college. On Friday, Health and Human Services Secretary Kathleen Sebelius, a Catholic, spoke at a relatively low-profile graduation ceremony for one of Georgetown's individual schools, an appearance that attracted criticism from the Catholic archdiocese of Washington. The archdiocese and conservative Catholic groups blasted Sebelius' appearance after the role she played in crafting the new contraception mandate for insurance companies that says they must provide such coverage even to employees at Catholic institutions and because of her support for abortion rights. Sebastian Errazuriz has used art to take on an array of issues: New York's death rate, the Occupy movement, military suicide, children with disabilities, the brutal reign of Chilean dictator Augusto Pinochet. Now, the Brooklyn-based artist is taking aim at what he sees as religious extremism. At a party this weekend celebrating New York Design Week, which begins today, the Chilean-born artist plans to hand out 100 "Christian Popsicles" made of "frozen holy wine transformed into the blood of Christ" and featuring a crucifix instead the tongue depressor that typically hosts the frozen treats, he said. A guest "My Take" post we ran this week from a college psychology professor who has a background in religion (he was ordained a Roman Catholic priest, for instance) challenged that conventional wisdom. The piece has generated an avalanche of response: 10,000 Facebook shares, 6,000 comments, 200 tweets and a couple of blog posts. Giving the other side its say, here's a rebuttal roundup of critical reactions from across the Internet.